Originally printed on April 16, 2019 in the Eastern Daily Press. TOYE CHRIS Died at home in Harpley surrounded by his family on April 9th, 2019. The funeral will be at St Martin's Church, Fincham on April 23rd at 2pm. 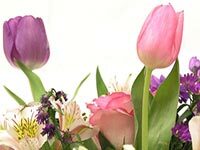 Flowers or donations for Cancer Research UK (Cambridge Centre) may be made at the service or sent c/o A J Coggles, Family Funeral Directors, 69 Bridge Street, Downham Market, PE38 9DW.